Everyones talking about the real estate market these days, and I want to show you the statistics that'll teach you "why" the market is doing what it is doing. So Click on the link below to see the monthly report for March. In it you will see in the Washington County section for March 2018 where it shows that "pending" listings are much higher than months prior and that "new" listings are much lower. There is a high demand for listings in Southern Utah! This means that more than likely your home, if listed, would sell very quick. Tanya is our newest associate agent with the Gatchell Group. She has been in the business for over 2 years and has grown her client base significantly in a short amount of time. She grew up in the construction business and equates a lot of her knowledge gained from that to her success in real estate. She is also heading up our teams Marketing Plan for our listings and is the person sending out our Postcards, Newsletters, Weekly and Monthly Market Reports and works on our Social Media each Day. Jenika is our wonderful transaction coordinator for the Gatchell Group. She keeps our transactions in line and reminds everyone on the team about each detail. This way we are all in sync with our clients that are buying or selling a home. 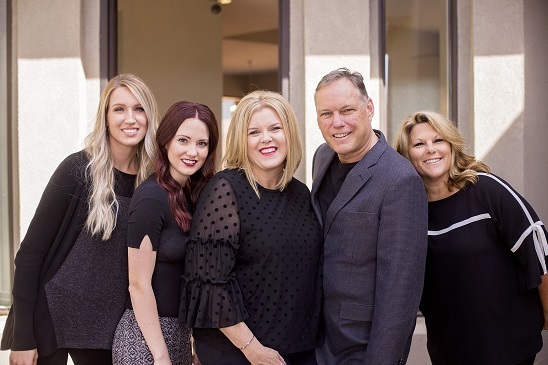 Jenikas attention to detail helps each of us significantly so that our agents can focus on building the Gatchell groups client base to have more buyers and sellers for your home! Sue is in the trenches with new developments, she knows the new construction process, and works with our clients to stage and price their home to sell! Sue is our team leader. and keeps the team focused on our goals and focused on the most important reason we do what we do, which is all of YOU! She coordinates our weekly meetings where monday morning she calls each individual team member go over our transactions and on wednesdays she holds our team meetings. She is a motivating leader and it shows through her team-building efforts and through her large client-base. She loves and apperciates each of her clients and works hard to let them know that! Scott is also an associate agent for the Gatchell group. He works with our client base to get them into a home they love! Scott gets the market and the numbers, he constantly amazes us on how spot on he is his market analysis of homes! When you want to know the value of your home, Scott's CMA's don't lie. He will give you a fair and honest market value of your property. Not only is he involved behind the scenes in all we do, he is the one we go to for inspection issues and he has a way of keeping our deals together and our clients happy! Shauna is our associate agent who has worked with the Gatchell Group the longest. She has been a big part of our team and continues to create clients for life because our clients love her! She gets the job done and works hard to find the right home for each client.You can find shauna driving around in Big Red showing our buyers the home of their dreams, or previewing property so she's perfectly prepared when her client arrives in town.She has held our model homes open and reaches out to our client base from those homes to get our new construction homes sold! Our Team works hard every day for our clients! We work together as one to make the process stress-free and simple for our clients. We are grateful to each of you for your continued support!